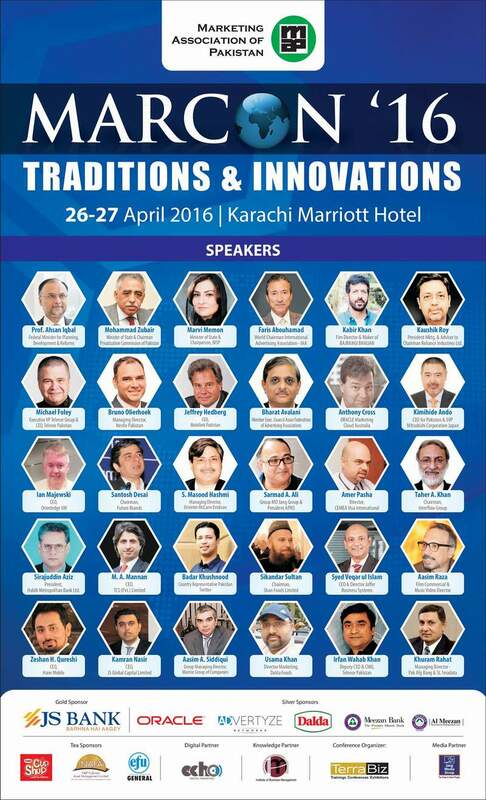 Pakistan marketing industry’s flagship event MARCON’16 hosted by Marketing Association of Pakistan will take place on 26th and 27th of April, 2016 at Marriott Hotel, Karachi. 15+ Speakers from Pakistan and different countries of Asia Pacific, South Asia & Middle East have been invited to make their presentations and share their experiences with the participants. Some of the prominent names includes Kaushik Roy – President Brand Strategy & Advisor to Mr. Mukesh Ambani (President Reliance Industries), Bruno Olierhoek – MD & CEO Nestle, Michael Foley – CEO Telenor Pakistan and Kabir Khan – Director of Blockbuster “Bajrangi Bhaijaan”. It’s a prime opportunity to network with leaders, innovators and decision-makers at this meeting of top minds in the industry. 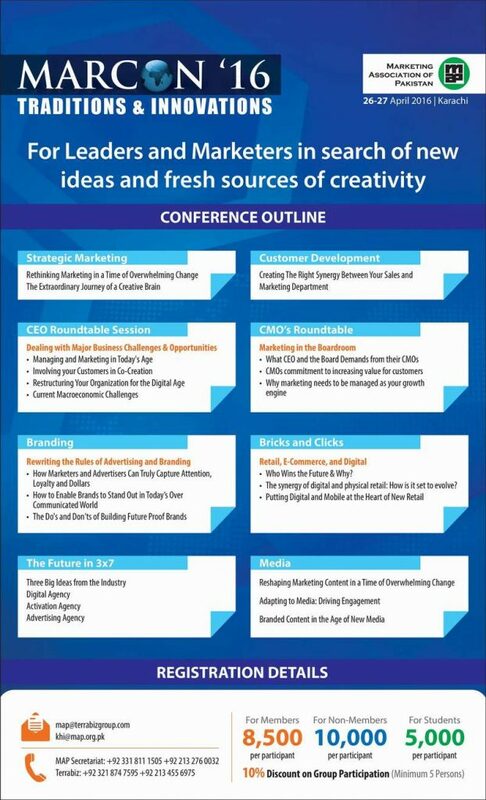 Below is the brochure of Marcon ’16 with conference outline for your review. Have you ever attended a Marcon event? I’ve attended a couple of them and if you’ve never attended one, I say you give it a shot this time around.